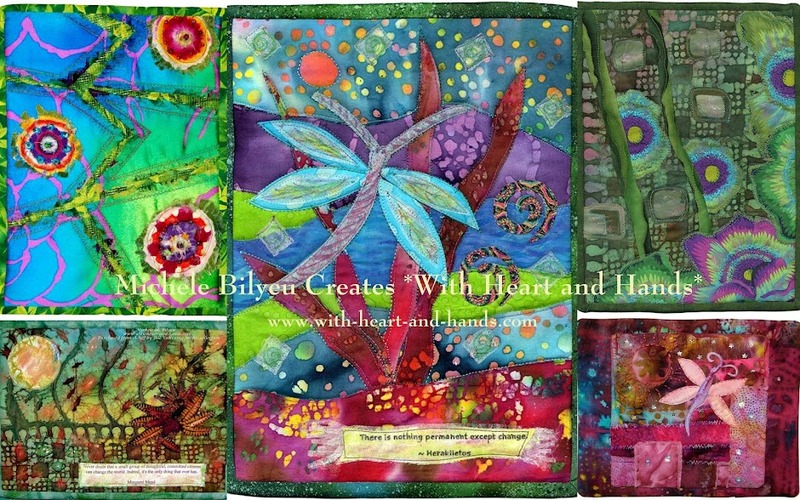 I love to use small pieces of leftover fabric to make small quilted projects. One of my absolute favorites has been this coffee press wrap or jacket. 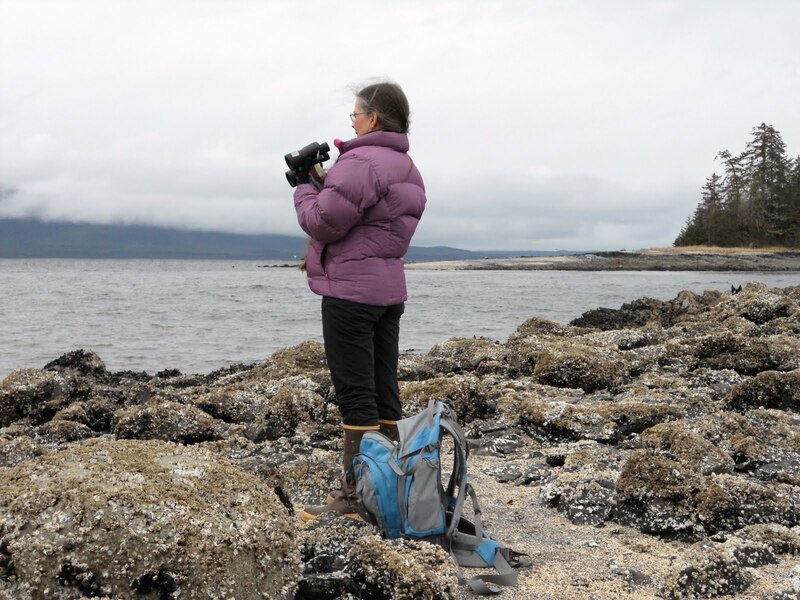 It's been such a hit among family members that I am now including it on my 'must make' list for simple quilted gift ideas. It's fast, it's frugal and it can be made in a bit of free time and given as a gift that evening. This one only took me a few hours to make, even with the crazy piecing and it works extremely well to keep our french press coffee nice and warm to the last drop. 1.Collecting small leftover scraps from previous projects (wedding pillows 1 and 2) I used them with a simple pattern designed by simply wrapping and drawing lines on a piece of paper to fit our coffee press. Looking somewhat like the shape of a hot water bottle (how appropriate!) It includes a lipped section....to create the wrap over effect and for application of a velcro tab, later. 2. 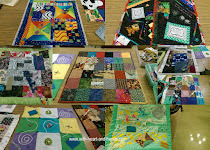 Using a base fabric as foundation, I then began to piece small sections of my scraps into crazy quilt like arrangements. Seam a section, flip and turn, add another and so on. 4. And continue until your pieced section is large enough to completely cover the pattern you have sized.... with enough to trim off neatly around the pattern edges. 5. Now, cut a back section and a piece of inner batting section (using the same original pattern) and trim all to a matching size. 6. During this process, you will wrap your pieced section around your own french press to get accurate sizing....and to make sure that it fits correctly around the coffee press handle section. 7. Now, sized to fit, you can add a label... or any decorative trim to your piece. 8. Sew right sides together, with batt on top of one of those sides. Trim and turn. Fold tab's raw edges in to catch as you sew on velcro. 9. Add velcro on one side of the tab, fit to the press for placement of the other velcro section on opposite side and sew on. 10. If you want to add some decorative quilting, you can do that as well. And voila! 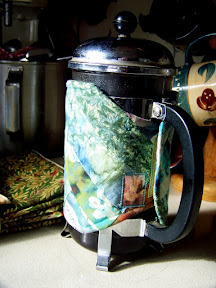 A nice, quilted, warm french coffee press wrap...to give or to keep...it's a wonderful project created entirely from free leftover scraps!